We’re giving a big ‘Potters Shout Out’ to Jordan Philpott from Spalding. 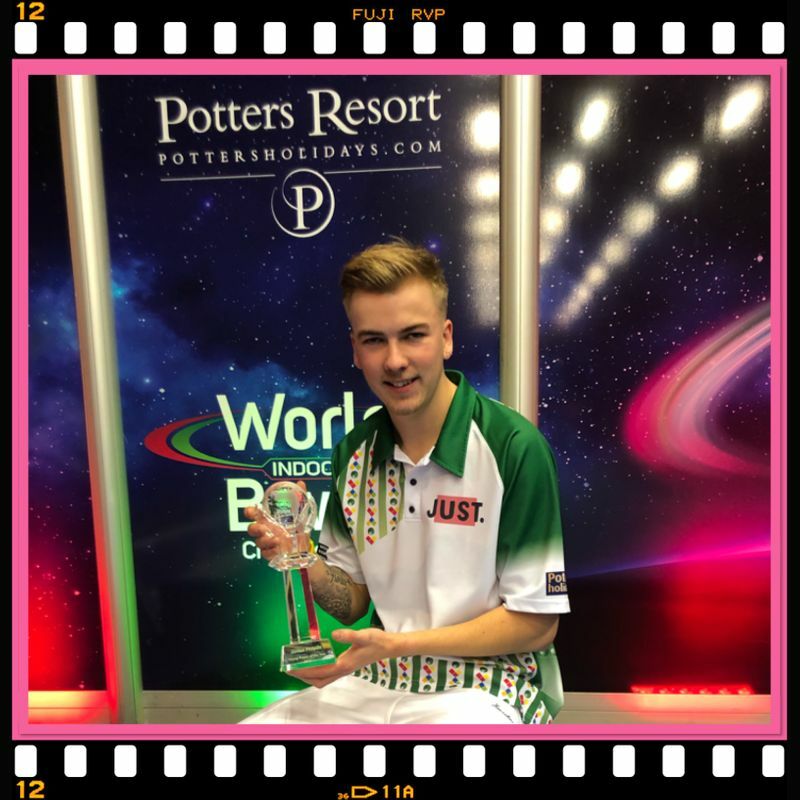 Jordan, couldn’t attend the WBT Awards Ceremony at Potters earlier in the month therefore the 21 year old electrician was presented with the WBT Young Bowler of the Year Award by Event Presenter Richard Beare after his semi-final victory in the World Under 25 Open Singles against defending champion Chloe Watson from Northern Ireland. CONGRATULATIONS & WELL DONE from Potters.